Introducing the brand new RFIDler by Aperture Labs, now available for pre-sale! 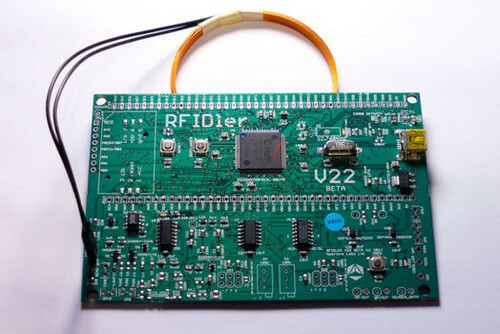 Rift Recon is thrilled to be the exclusive online distributor of the RFIDler (RFID Low-frequency Emulator & Reader), an open platform RFID reader/writer/emulator that can operate in the 125-134 KHz range. A complex, essential implement for any pentester’s tool kit, it can be used for many other purposes, adding unique functionality to certain projects. Today marks the start of our pre-sale period, while official sales and shipments will begin September 1st. Don’t delay! Click HERE for more information, as well as to place your order!